Summer is the perfect season go get active in the great outdoors, and thanks to an ever-growing network of urban recreational trails, staying active this season is easier than ever! This trail that follows the Schuylkill River is in the process of expansion, not quite halfway done, but it already features more than 60 miles of trails through Philly. Forget the car and take a bike to commute from Philadelphia to Phoenixville (and get some exercise while you’re at it) in this beautiful national and state heritage area. Coming soon: a walking bridge to cross the river in Valley Forge. This trail centers around outdoor recreation and fitness, but it also provides a unique educational offering. You can download a “Voices from the Past” guided tour on your cell phone to learn about the various memorial benches along the path. Also along this nearly nine-mile path, you can find fitness stations and drinking fountains to refuel. It’s popular year-round among athletes, joggers, cyclists, hikers and nature-lovers. The MKT (named for the Missouri-Kansas-Texas Railroad) is part of the Katy Trail, considered the longest trail in the nation. This trail in South Carolina is named after a railroad that was named after a type of rabbit, and now that the railroad no longer runs, this trail follows its path, along the Reedy River. The Swamp Rabbit Trail snakes nearly 19 miles across Greenville, from picnic areas and parks to schools and businesses. It’s a popular geocaching hotspot, too. About a half a million people used the trail last year, generating $6.7 million in tourism for the city. 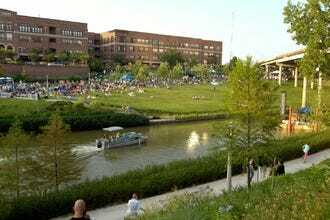 Buffalo Bayou Park is 124 acres of space in the heart of Houston. Take a pause from the hustle of the city to jog on trails, go biking, gaze at the skyline, visit one of the city’s most famous fountains, the Gus S. Wortham Memorial Fountain, and visit the skatepark. The Lee & Joe Jamail Skatepark is one of the top skateparks in the nation, featuring 30,000 feet of skating space. At at Buffalo Bayou Park: a police officer memorial and the Rosemont foot and bike bridge. This 8-mile-long urban trail that connects six of Indianapolis’s different cultural districts has been called the “biggest and boldest step by an American city.” It didn’t come cheap, at the tune of $63 million, but this beautiful, landscaped path strategically and artfully weaves together neighborhoods, attractions and entertainment. The Indianapolis Cultural Trail makes it easy and healthy to explore the city. 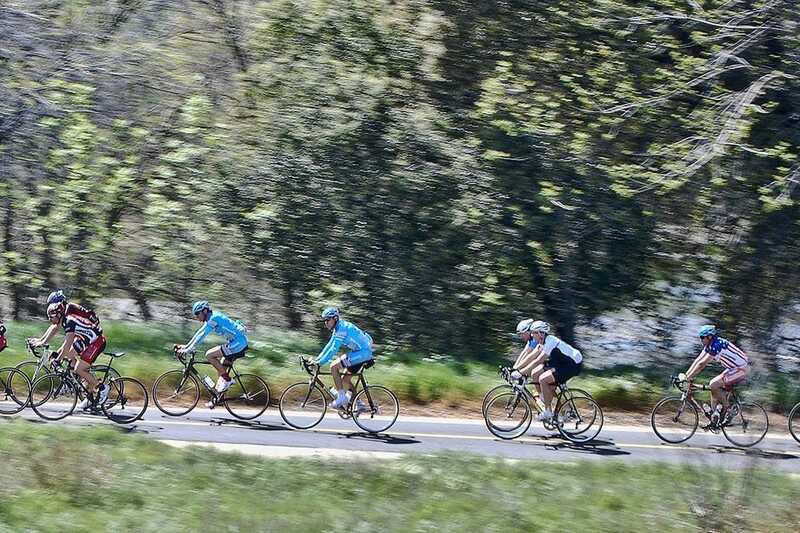 The American River Bike Trail is a popular, paved trail in Sacramento for outdoor recreation and also commuting around town. 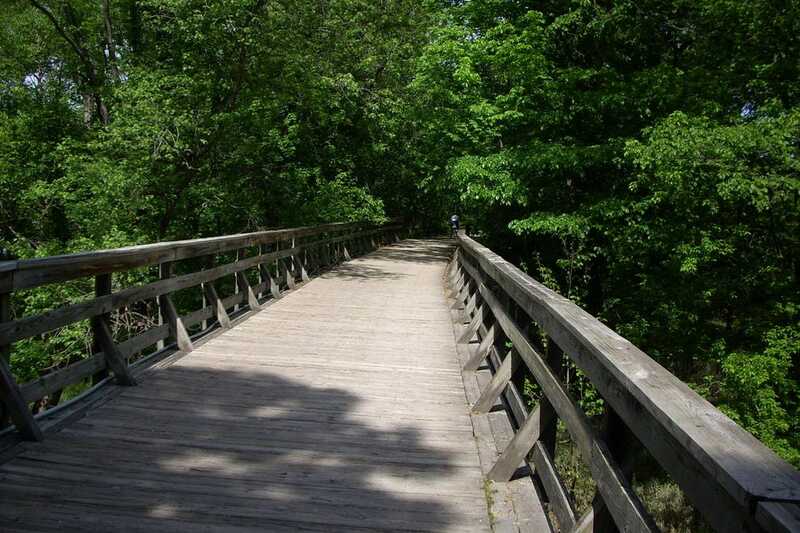 In fact, many residents use this 32-mile trail as their main path for transportation. 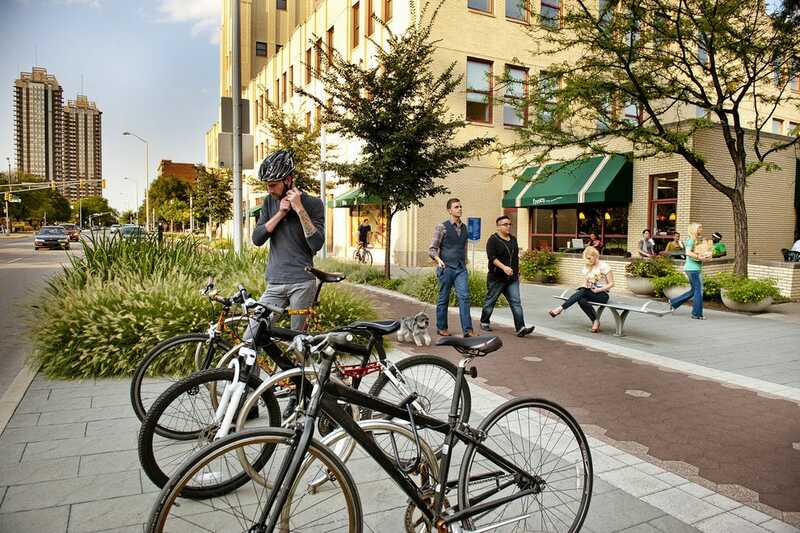 It’s recognized as one of the nation’s longest, paved bike-specific paths in the nation. The trail will bring you all the way from downtown Sacramento (the Sacramento River) to the city of Folsom (specifically, Folsom Lake). The Atlanta BeltLine claims to be the most comprehensive revitalization project in the city, and one of the most notable in the country. This project will link parks, trails and transit along an existing historic railroad corridor circling downtown. The beltline will connect 45 different Atlanta neighborhoods and help transform the city into a more sustainable community, with 33 miles of trails, pedestrian-friendly public transportation and a more strategically connected city and greenspace. 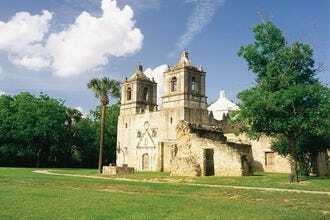 San Antonio is known for its four historic missions, and this unique urban trail brings them all together, making them easier for visitors and residents to explore and learn about. The Mission Trail follows the San Antonio River eight miles through historic neighborhoods, but you can start and stop at any point between various missions, which offer bikers, walkers and joggers water on site. A few missions even serve food. This is where historic tourism meets outdoor rec. 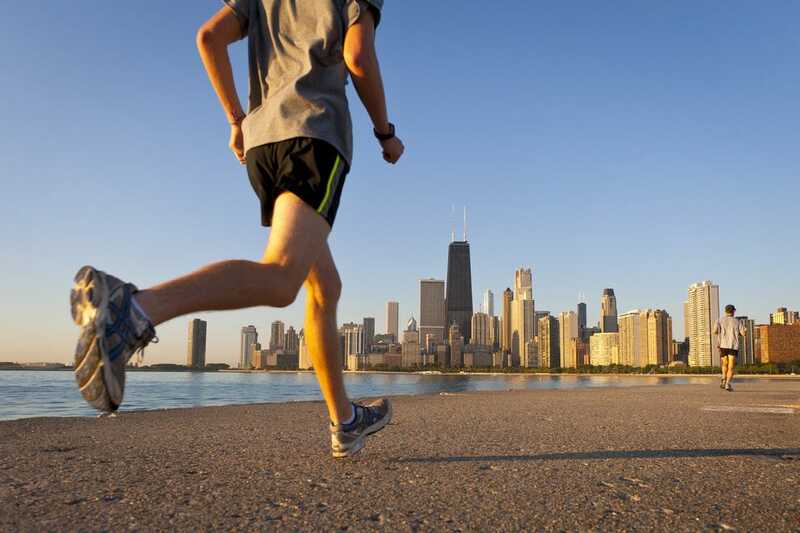 One of the best, environmentally friendly ways to experience Chicago is on the Lakefront Trail. 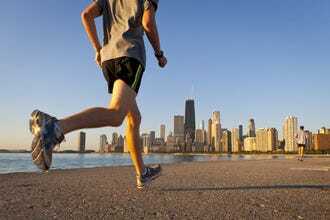 This urban path for cyclists, runners, rollerbladers and walkers winds 18 miles around Lake Michigan, abuts open space and parks and brings you past boardwalks, playgrounds, wildlife sanctuaries and sports activities. The views along this lengthy, paved way are breathtaking, and there’s plenty to do and see along the way, or not do, if you’d rather sit under a tree and relax. The Rose Kennedy Greenway is unique, in that it’s a fully organic park, the only one in Boston and one of a few in the nation. This means no chemicals and pesticides, minimal water use and the grass is always safe for kids to roll around on. Kids also love the multiple water features and the carousel. 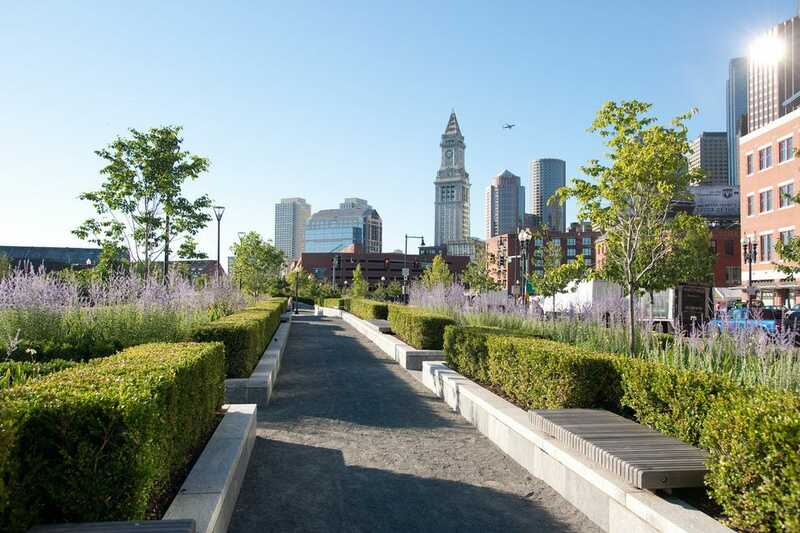 As you stroll through the greenway, grab a bite to eat at the regular food trucks on site and even bring your work outside; the area offers free, public wifi. 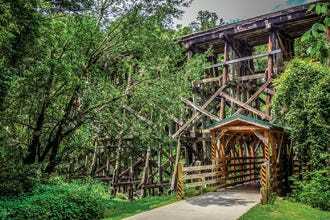 USA TODAY 10Best teamed up with a panel of travel and outdoor recreation experts to nominate 20 trails for the title of Best Urban Trail. Our readers have been voting daily for the past four weeks, and now we have a winner! 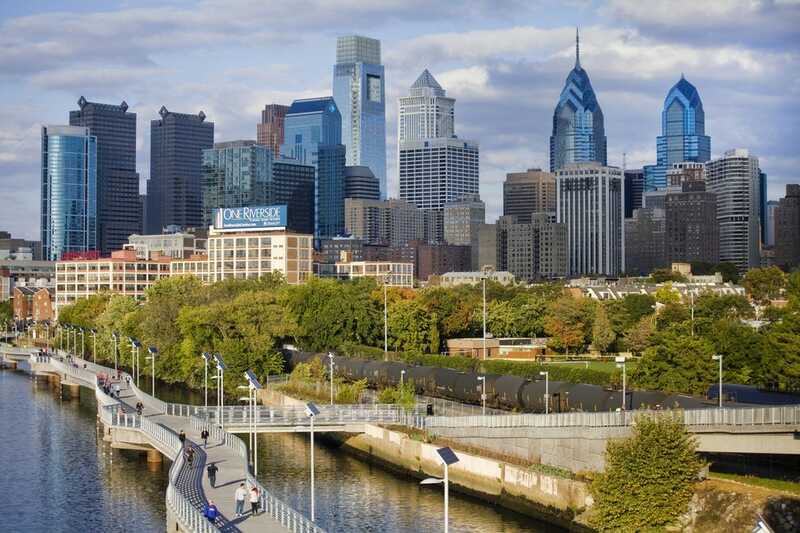 Coming in first place is Philadelphia's Schuylkill River Trail, a still-expanding project that already includes more than 60 miles of trails along the Schuylkill River. MKT Nature and Fitness Trail - Columbia, Mo. 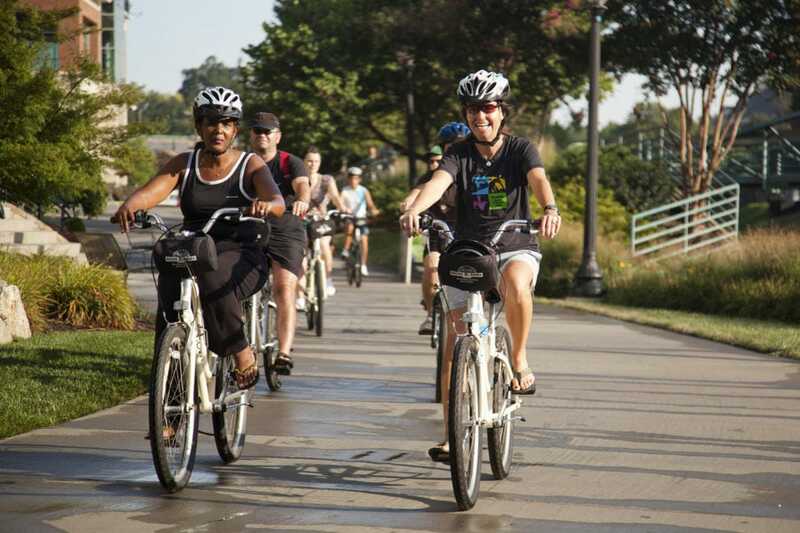 Swamp Rabbit Trail - Greenville, S.C.
A panel of experts picked the initial 20 nominees, and the top 10 winners were determined by popular vote. 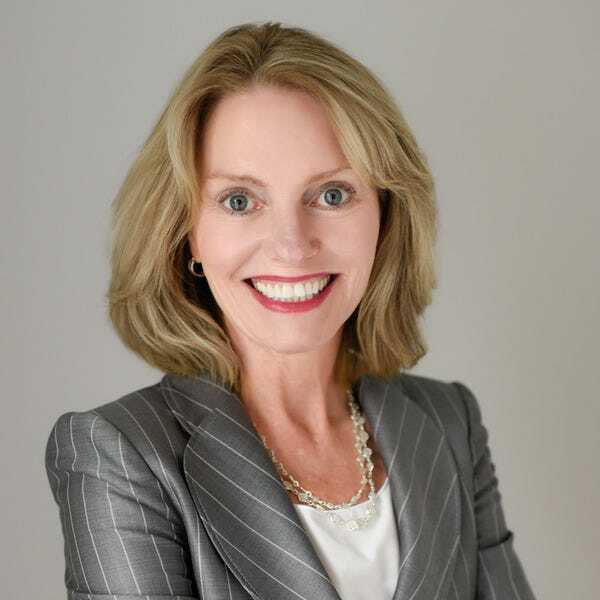 Experts Barbara Tullpane (National Recreation and Park Association) and Larry Bleiberg (USA TODAY) were chosen based on their extensive knowledge of urban parks and trails across the nation. 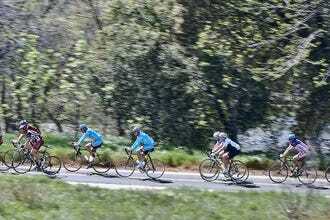 Other nominees for Best Urban Trail included Boulder Creek Path in Boulder, Colo.; Burke-Gilman Trail in Seattle; Forest Park Trails in Portland, Ore.; Grand Rounds/Midtown Greenway in Minneapolis; Griffith Park Trails in Los Angeles; Lady Bird Lake Hike and Bike Trail in Austin; Louisville Loop Trail in Louisville; Manhattan Waterfront Greenway in New York; Minuteman Bikeway in Boston and Mount Vernon Trail in Washington. 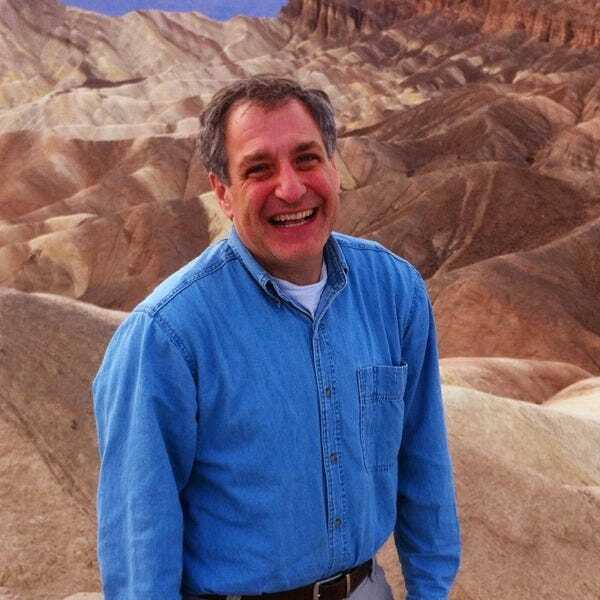 10Best and USA TODAY extend their congratulations to all the winners.